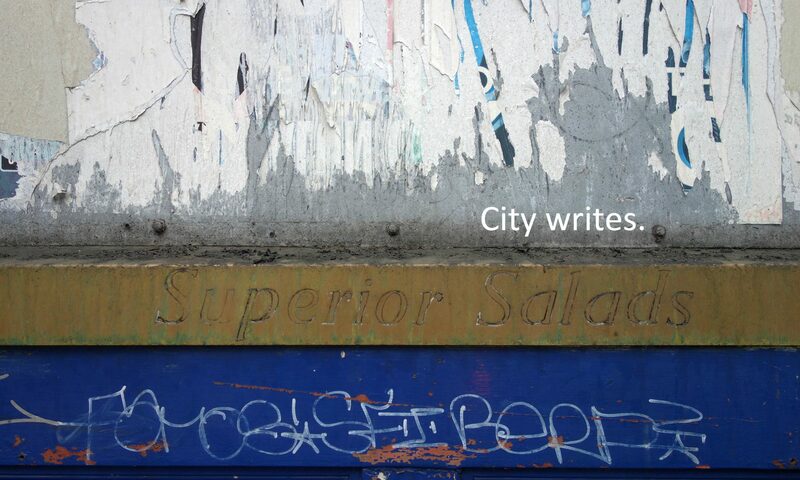 Between the privately owned and the publicly visible, the law claims control of urban surfaces as both private and public territories, leaving little room for their communal production. In fact, the surface lawscape is legally suspended between the protection of within and the regulation of without. The law compresses surfaces until a point of complete reduction, where they ideally become no more than planar borders, frictionless transition points between two regimes of control that were instituted and are managed by a single system of governance. The thinner the surface, the less problems it poses, as its materiality disintegrates, its visuality is restricted and its embodied presence is obliterated by urban territory regimes. The border as concept, as legal threshold between two qualitatively different spaces of here and there, of public and private. The paper sheet that exists only conceptually, to demarcate its public and private sides, and to reject any subversion or contestation. However, just like sheets of paper are material objects and not just bearers of inscription, borders are never pristine lines of demarcation and exclusion: they are loci of contestation and tangible physical conflict, sites of materiality which become activated through social production. With each meddle, surfaces swell, they become larger and meatier, and they cumulate and stack every addition and reclamation. Surfaces become complicated for the law because they form repositories of the in-between, of the neither public, nor private, of the legal and spatial ambiguity of threshold spaces, neither within, nor without. The thicker the surface, the harder for the law to issue comprehensive mechanisms to control it, and so surfaces become a third type of space, in-between the public and the private. They are common, it’s not yours but you can touch, you (too) can make some rules, although you are not the owner. Open to access and vulnerable to conflict, surfaces as commons are sites of tactical engagement and spatial co-production, where censorship and exclusion are co-designed out of the picture. Every protective coating gets nailed by a tag, and each tag is overwritten by another, which then gets cleaned by the buff, which is covered by a billboard, which is replaced by a mural, which in turn gets tagged and restored and tagged again. Exclusion prevention through multiple co-design; plural inscriptions designing out the single authority; spatial justice through ongoing conflict. Temporary concessions, with no resolution in sight.